One day. 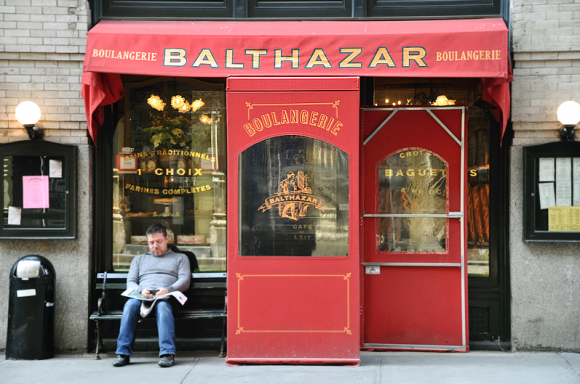 Three bakeries. Five miles. Nine doughnuts. 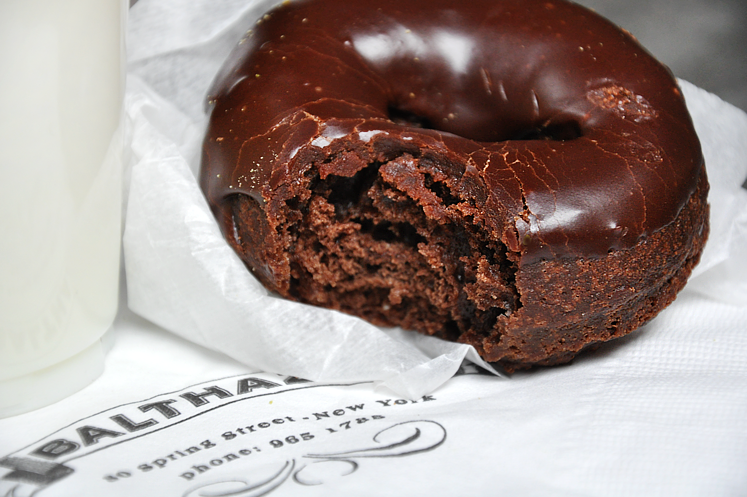 Welcome to The Just a Taste Doughnuthon. I know what you’re thinking, “This girl needs to get a life.” But I’ve lived in New York City for almost two years now, and I still have yet to find a jaw-dropping, fancily frosted, circuitous ‘nut-o-perfection that leaves an impression lasting longer than the glaze on my fingers. And have I mentioned that doughnuts are my favorite food group? 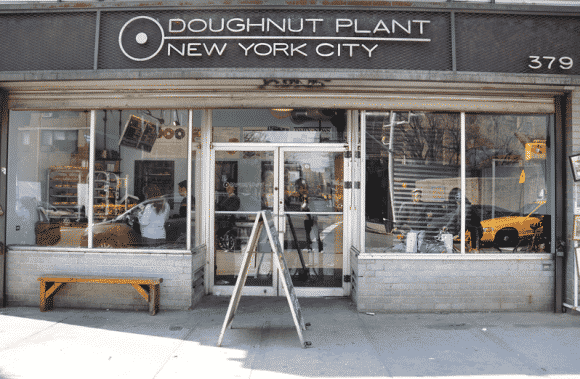 I compiled a list of bakeries based on previous rankings and my own curiosity and understanding of New York City’s doughnut scene. I had to buy the three most popular doughnuts from each bakery, based on the recommendation of the person taking my order. I had to speed-walk (Are you getting the visual here? 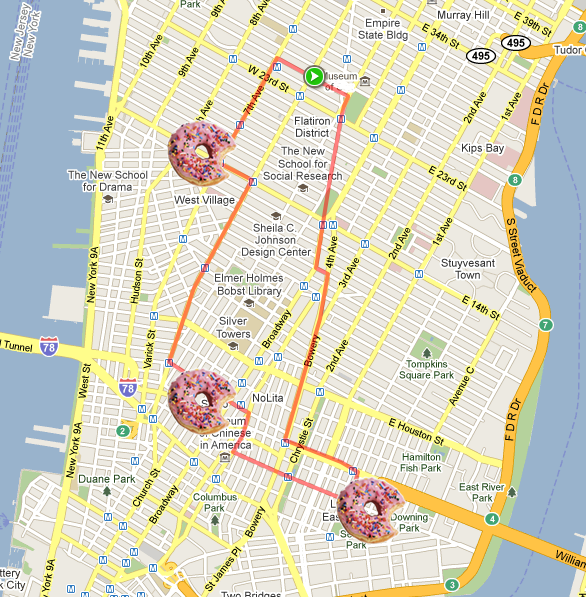 Feel free to laugh at/with me) from one doughnut spot to the next, hence the marathon aspect of my adventure. 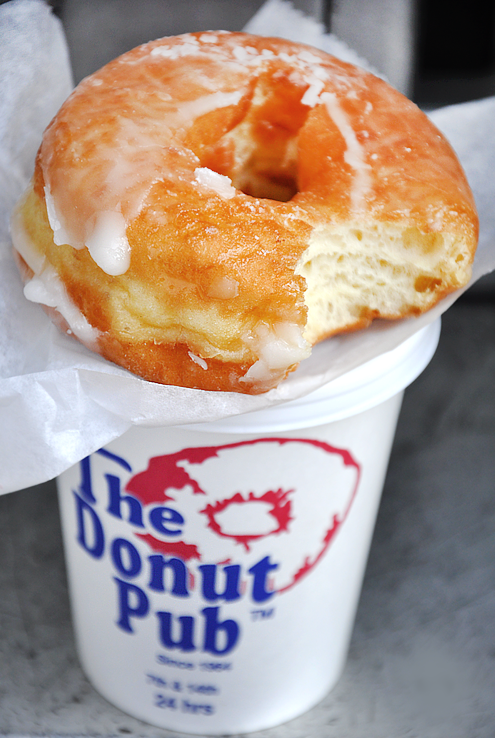 Two words: Doughnut Plant. 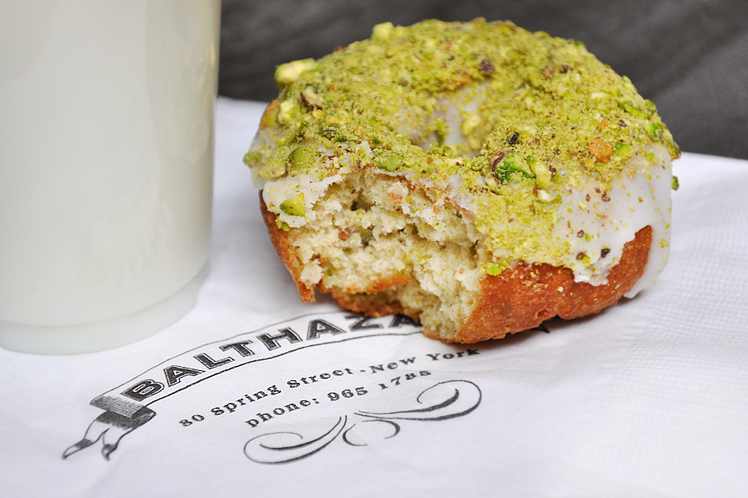 It’s enough to make any doughnut-lover weak in the knees (and stomach). 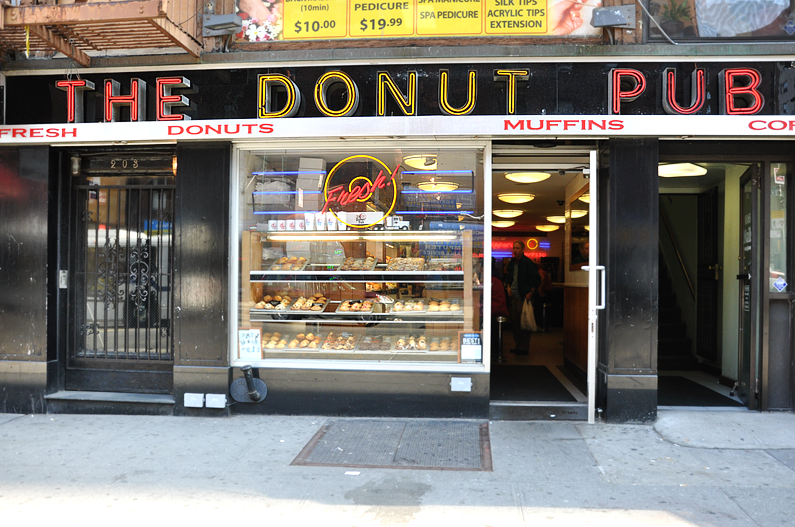 The Doughnut Plant is likely the most famous doughnut shop in all of New York City. From an epic battle on Throwdown with Bobby Flay, to recently being named one of the Top 10 Best Places for Doughnuts (in America) by Bon Appetit, I was curious to see if this place could live up to the hype. I placed my order for one of each of their Crème Brûlée, Coconut and Tres Leches doughnuts and then got comfortable at a nearby park bench. One bite of the Crème Brûlée doughnut and I was sold. 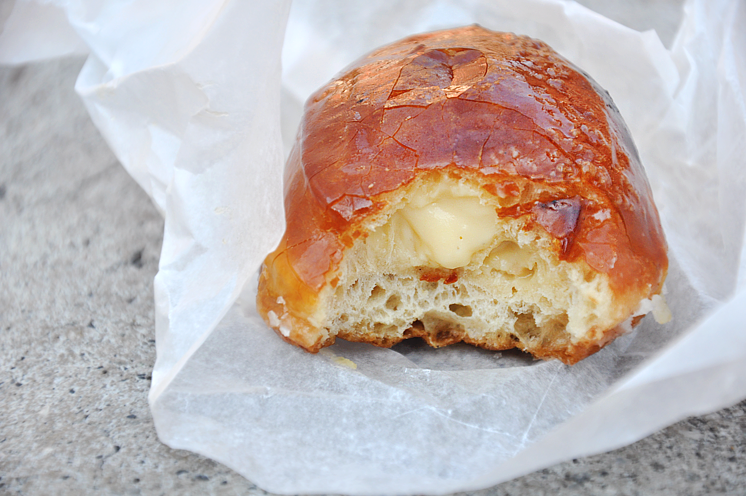 What begins as a taste of perfectly torched sugar exterior ends with a whirl of delicate custard piped inside a light and airy dough. It was the perfect size, the perfect shape, the perfect everything. I should’ve known it wasn’t going to be topped. The coconut and Tres Leches seemed like after thoughts as I stared down the remainder of my first and favorite pick. 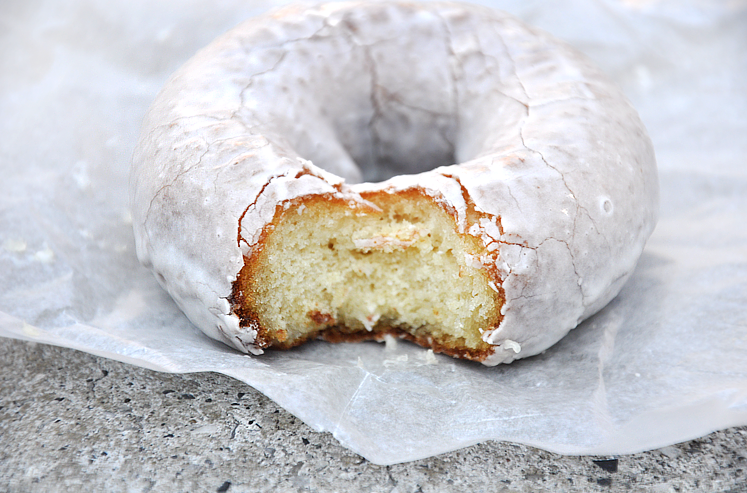 While massive in size, the square-shaped coconut-filled doughnut just didn’t do much for me. The Tres Leches also left much to the imagination as it crumbled with minimum moisture.